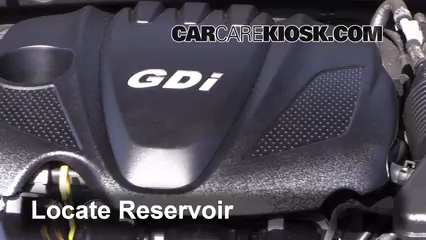 2011-2016 Kia Optima Cabin Air Filter Check - 2013 Kia Optima LX 2.4L 4 Cyl. 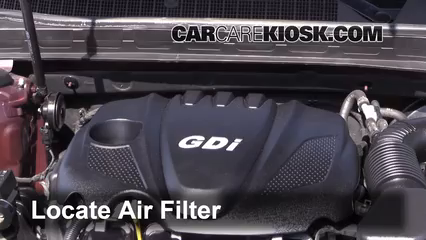 The cabin air filter (also known as the pollen filter, AC filter, dust filter, hvac filter and hepa filter) in your 2013 Kia Optima cleans the air that you and your passengers breath inside of your car. 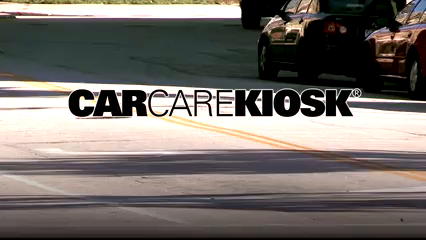 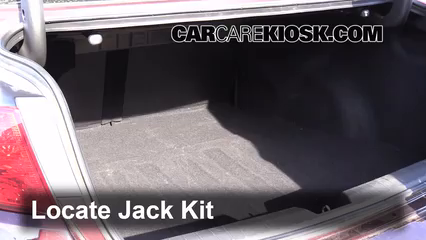 You need to change it at least once a year or every 20,000 miles, whichever comes first. 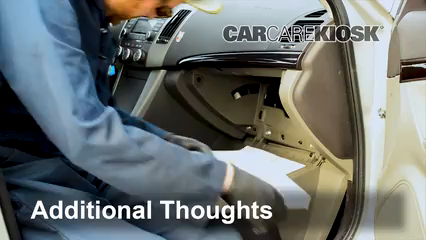 In addition to improving the air quality of your Optima, replacing your cabin air filter will put less strain on your heating and air conditioning system and can increase your gas mileage. 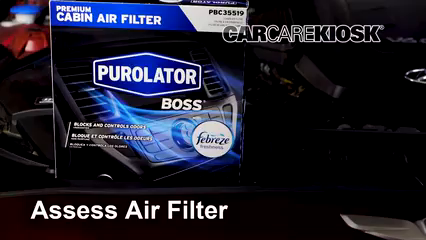 These filters are fairly inexpensive, so check out our parts page for great deals on a new one (tip: buy several, when you go to check the cabin air filter on your Optima, you can easily swap it for a new one if it is dirty). 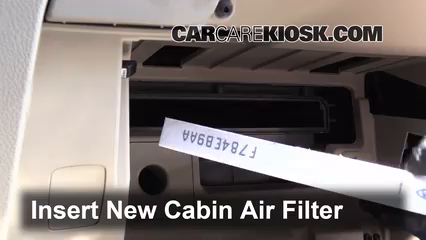 Not all Kias have a cabin air filter and for some models, the inclusion of a cabin air filter depends on what trim level you have (LX). 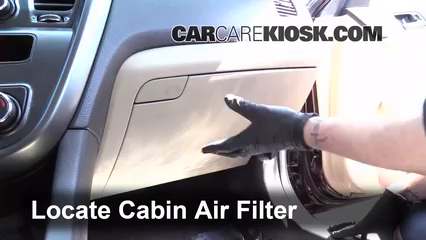 If your Optima smells bad when you turn on the heater or air conditioner, or it seems like the fan doesn't blow air as well as it used to, replacing your cabin air filter is a likely the best fix! 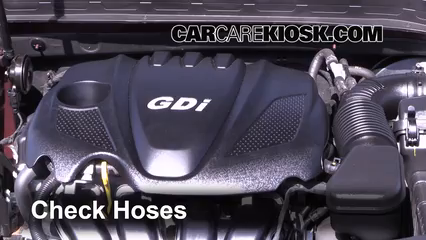 The video above shows you where the cabin air filter in your 2013 Optima is located and how to check it. 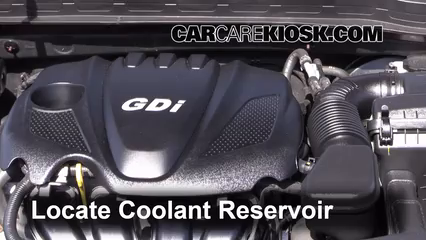 2013 Kia Optima LX 2.4L 4 Cyl.